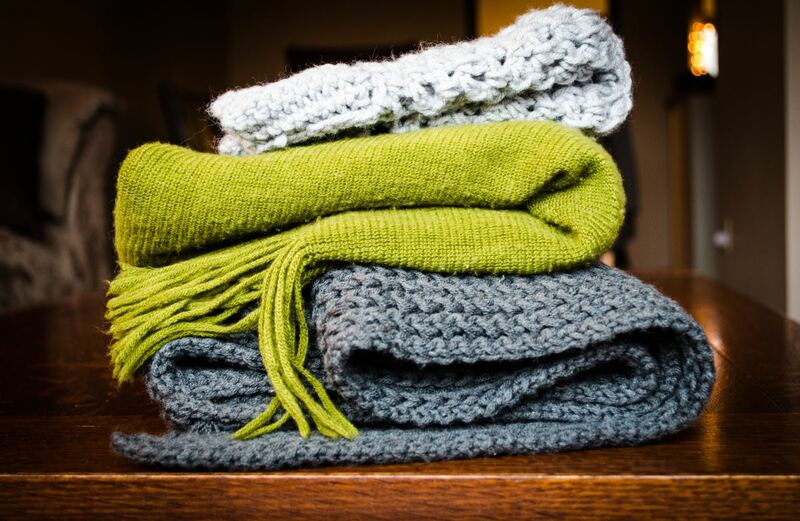 Like the look of a beautiful lace blanket or scarf? Wish you could make it yourself? Knitting lace is not as tricky as it looks. 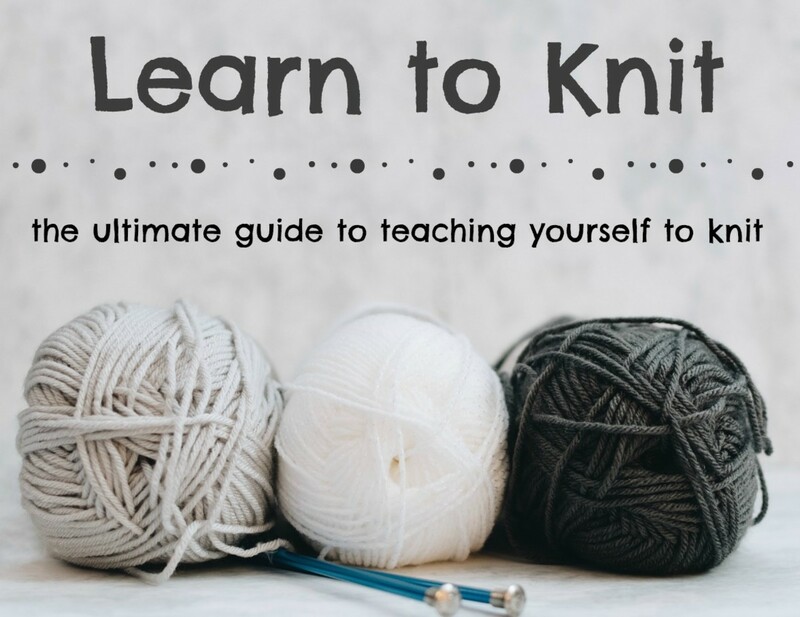 Learn the basics below and you'll be adding it to everything you knit. Even beginners can learn to knit lace! A lace pattern can make your knitting look complex and delicate with just a couple basic stitches. 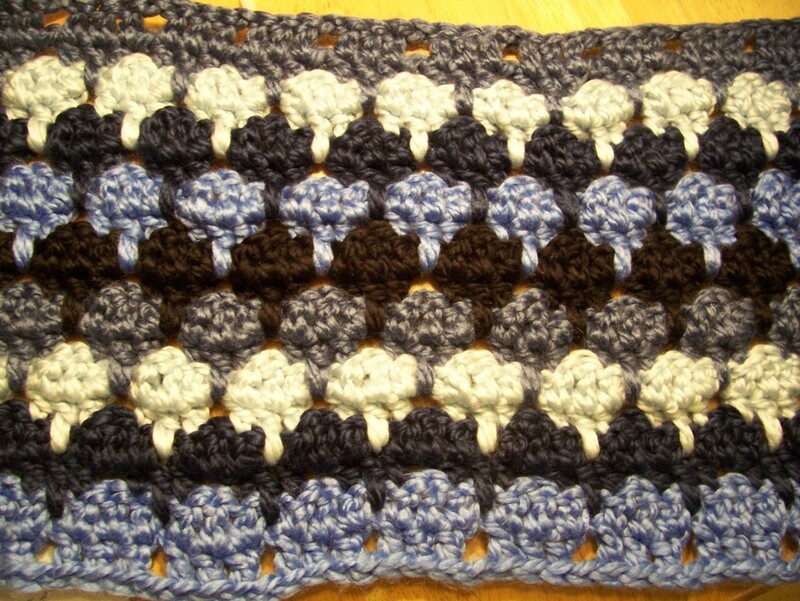 This is done by adding stitches in the middle of a row and strategically creating holes. In the rows that you create these stitches you will also be knitting others together so the overall stitch count remains the same. 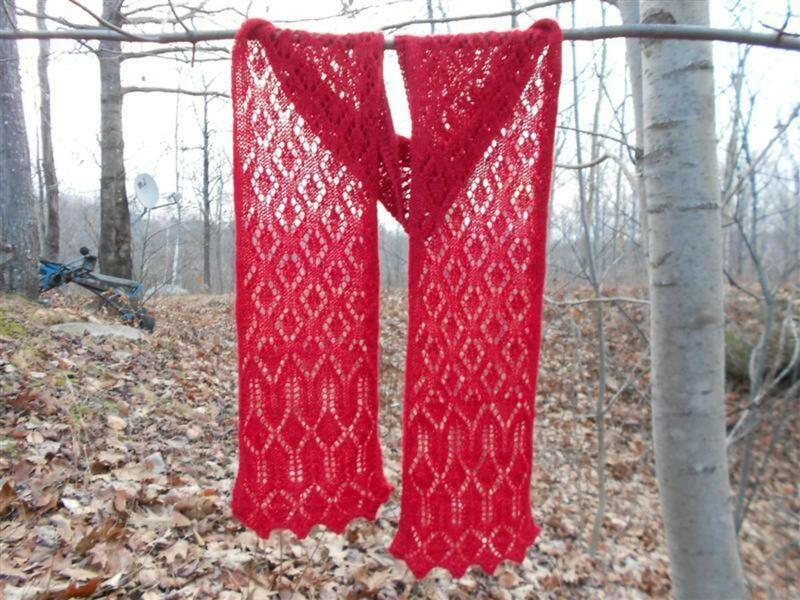 Learn the technique below and follow the knit lace scarf pattern to practice knitting lace. 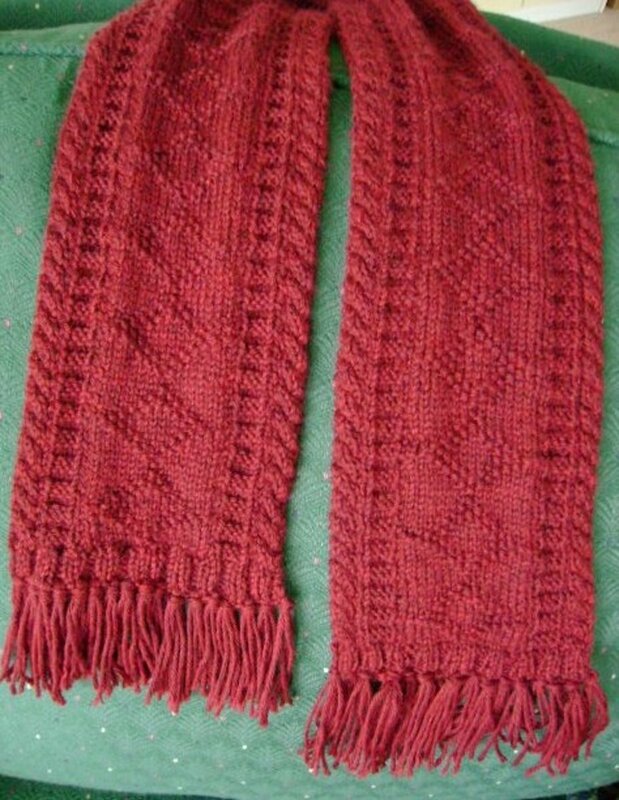 There are two standard stitches needed to knit lace: yarn over and knit two together. They are both described below and the video below shows them in more detail if you have trouble visualizing the instructions. This is the stitch you make to create a tiny hole in the fabric. Wrap the yarn from the back towards the front of your work and around to the back again. Now you have a loop over your right needle. Then continue on to the next stitch. That is all there is to it. This is a common decrease stitch. 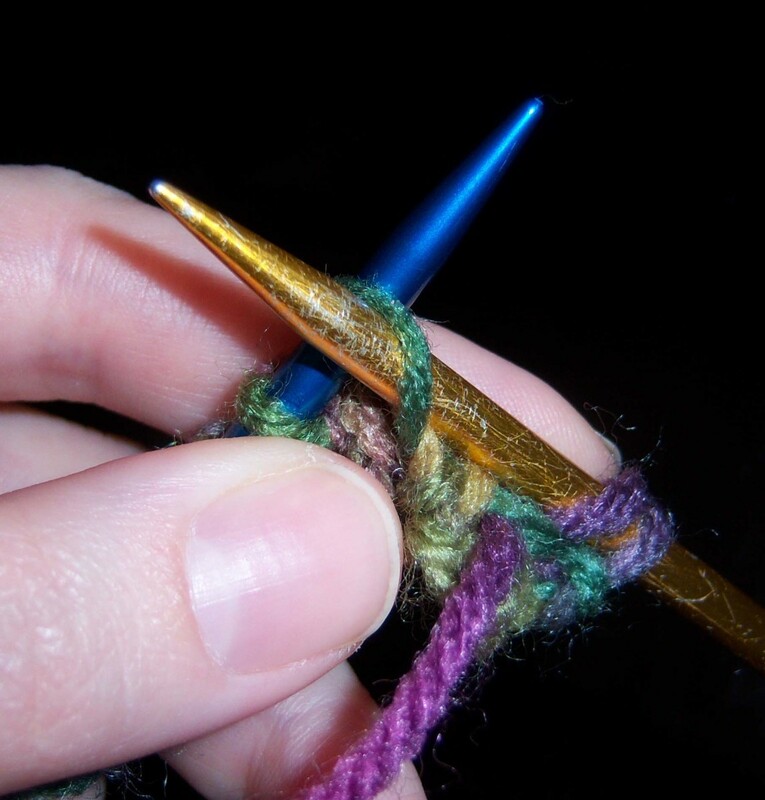 Insert your right needle into two stitches at once and knit them into one. This will decrease one stitch to compensate for an earlier or oncoming yarn over. See? You are already learning the lingo. You may also see additional stitches such as Knit Three Together (k3tog) or Purl Two Together (p2tog) depending on the pattern you are using. They are both performed like they sound, you can find tutorials online if you are not sure that you are doing it correctly. Technically, lace can be made with any type of yarn as long as you're knitting with an organized pattern of hole. But "lace-weight" yarn is usually used to give the finished piece a delicate look. Quality becomes even more important with delicate yarn since the cheaply-made varieties can easily break. My favorite for scarves and shawls is any Athena Merino Lace yarn. It's super soft and delicate but surprisingly durable. If you do not pay close attention to your pattern you can end up adding too many stitches because you skipped a knit two together stitch or not having enough stitches because you skipped a yarn over step. To avoid this, count your stitches at the end of every row when you are starting out. If you find a mistake you can redo the row instead of pulling out a huge section of your project once you notice the shaping is off. Another common issue with beginners is they will make yarn overs with too much slack so the small lace will actually be huge gaping holes in the fabric. Or they will pull the yarn over too tight so hole bunches up. You can fix this to some extent by blocking correctly, as explained below, but for the most part you will have to learn to keep even tension throughout the piece. To do this pay attention to the tension you are holding in the stitch after the yarn over. After this stitch is done and you examine it and the yarn over on your right needle they should be of even tension. 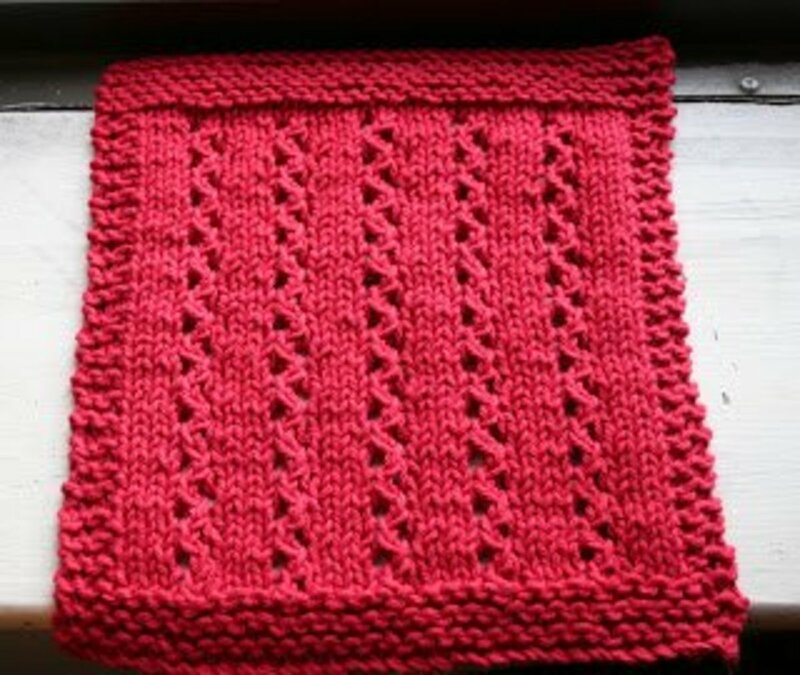 For your first few lace knitting projects it is a good idea to start with a published knitting pattern. Someone will have already done the work for you in coming up with a design and working out the correct stitch count and shaping. Once you get comfortable with the basics you can begin experimenting with incorporating lace motifs into your own knitting patterns. Knit wash clothes or dish clothes make a great beginner lace project. 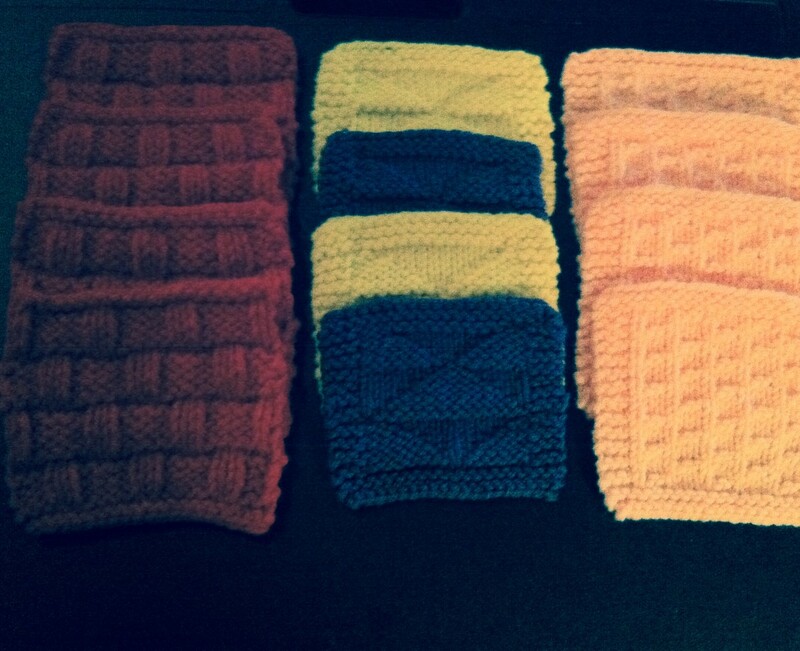 They are knit flat and square so there is not any shaping or in the round knitting to worry about. 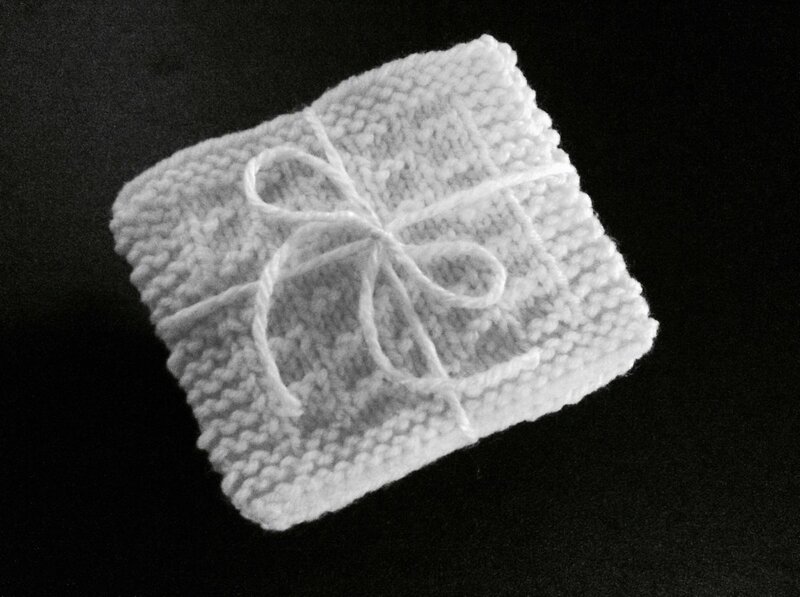 Use cotton yarn and few holes so the result is an absorbent cloth. Scarves are another great project for lace beginners and can be used to really show off your lace skills. A beautiful fan or leaf lace pattern look great in a scarf or you can choose a simple repeating line for the length of the scarf. 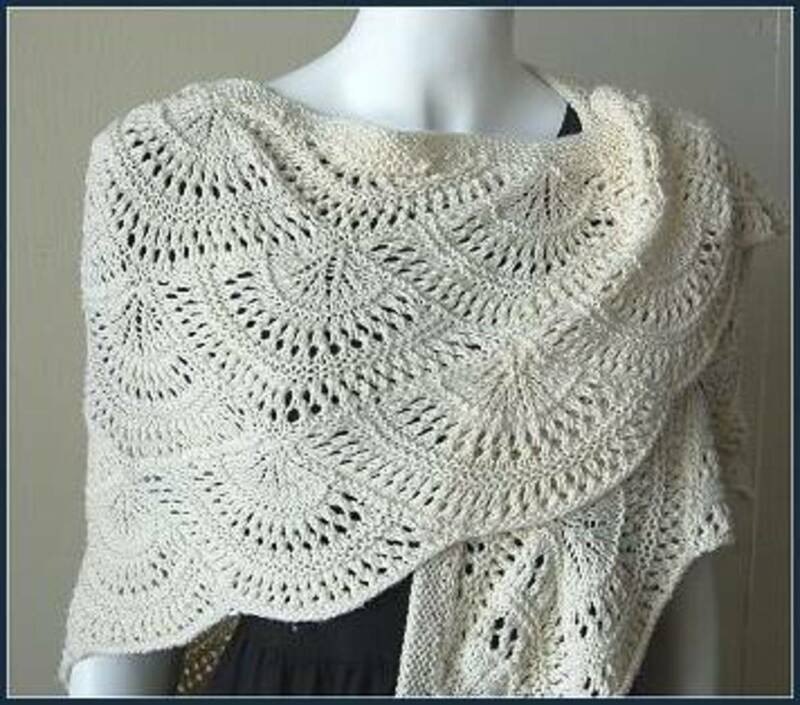 Shawls are a bigger time and yarn commitment than scarves and dish clothes but can have amazing results when lace is incorporated into the design. Many patterns are available with varying complexities to fit your growing skill level. 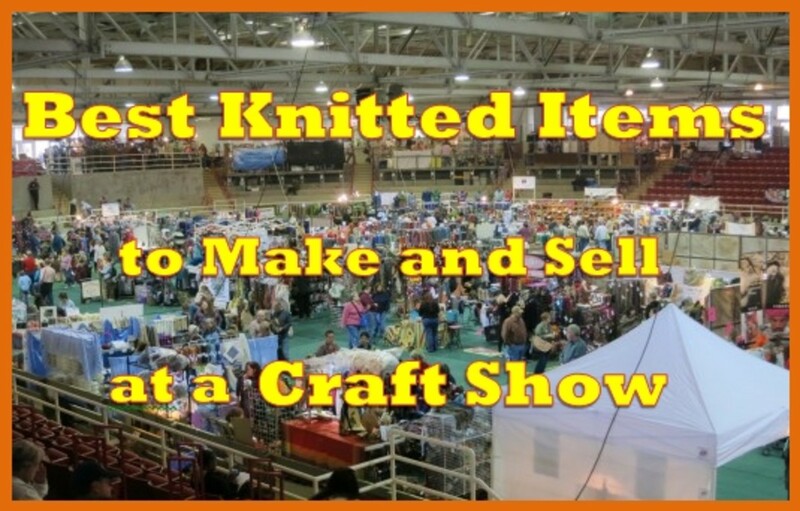 Once you are confident in knitting lace you can find all sorts of projects to add it to. Handbags, gloves, sweaters...everything needs some lace! Blocking is the process used for drying a piece of knitting in a controlled way to finish it. Blocking can make a big difference with lace items. If your tension throughout a lace project was not consistent you can make up for a few mistakes with a good blocking. Once you have tied in your ends get the item thoroughly wet. Gently pull the edges of the project so all stitches begin to even out. Lay the item flat to dry. If these instructions differ from blocking instructions on the yarn label, then differ to those that came with the yarn. Each material responds to blocking differently.